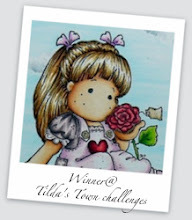 Sharon from Nellies Handmade Cards asked me to participate in a Blog Hop With a Difference so that we can get to know each other more. 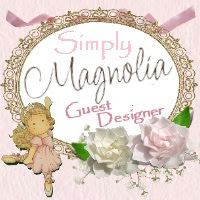 Sharon and I worked on Divas by Design Challenge Blog together and continued to follow each other due to our mutual love of Magnolia cards and our other artwork. Sharon also celebrated a new grandchild this year and has recently completed a 8 mile walk to raise money for a Hospice! 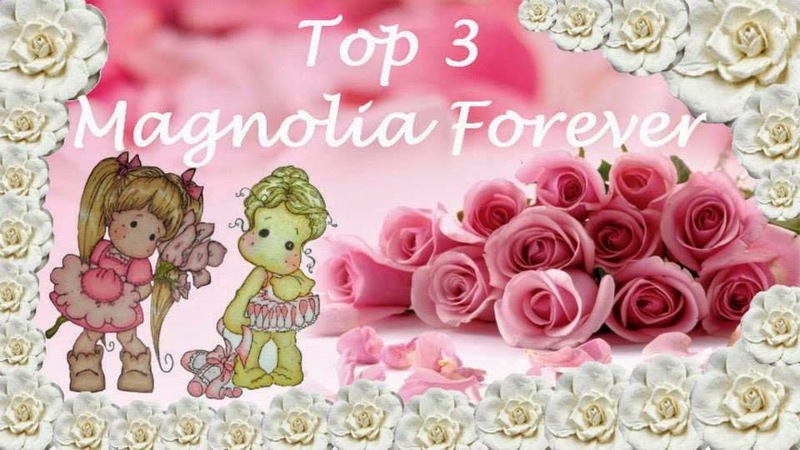 I hope you go visit her blog as you will be amazed! Here are the questions I will try to answer for you. I am painting some of my craft room furniture with Annie Sloan Chalk Paint. Paris Gray wash over Old White. So easy and fun. I create in my sleep! Really! 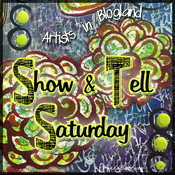 do you ever wake up with a card or canvas all done in your head and go straight into your craft room, well I do. No wonder I am tired! My style is all over the place from grunge to elegant. I love to try new things and work at a whim without thinking my projects through, so I only hope they turn out! lol Last week I had canvas fever! I did 3 canvases in 4 days and just finished up a few orders. Here are some of my favorite creations. A Twisted Easel Card for my son who served in the US Marine Corp.
Why do I create cards and canvases? As crafters we all know the creative mind is not at rest until something is made to fulfill the fix. lol If we cannot make something then we need to fulfill the fix by shopping for crafting supplies, or Pinterest to relieve our cravings, or at least that is what I do. I also have a desire to make things people love and give them away to make them happy. Everyone deserves a treat! How Does my Work Differ From other Genre? I am not sure if my work is different, there are a lot of things I make that are similar to others but I never worry about what people think of my stuff anymore. Over the years I have gained confidence in myself and also challenge myself to do better without competing with other people. I am here to enjoy my blogger friends who have inspired me in many ways. If you look through my blog you will notice that I like a wide range of themes from Shabby Chic to Grunge depending on my mood. 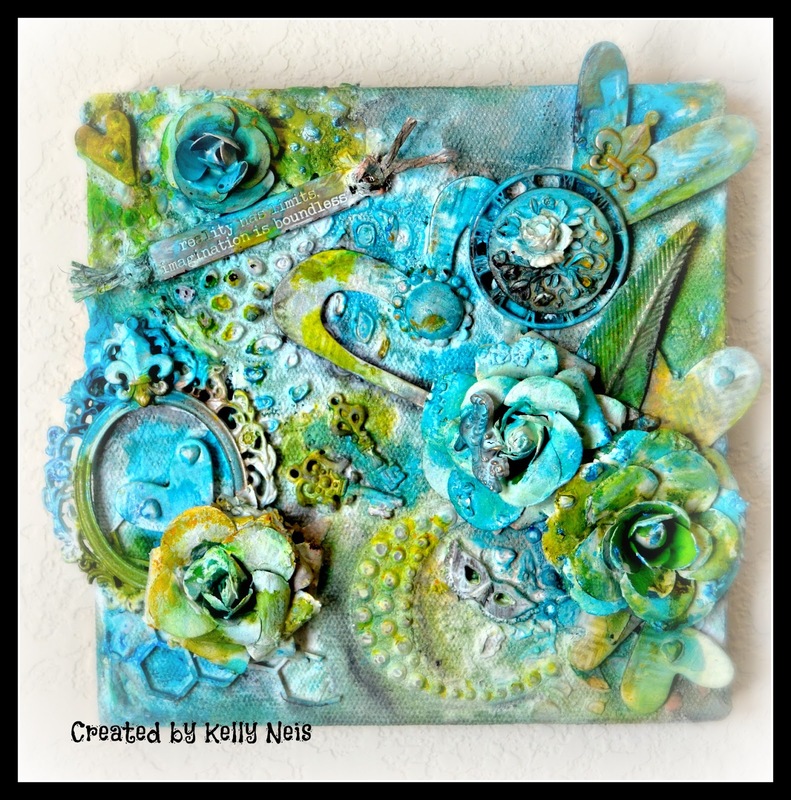 My favorite medium is distressed inks on my cards and I love creating canvases. 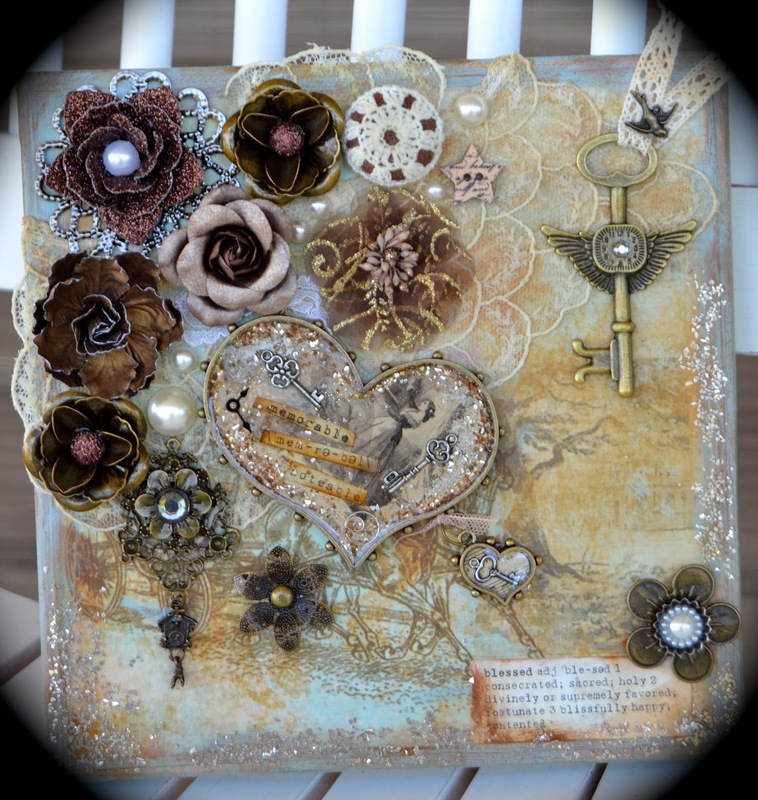 I struggle with creating Tim Holtz style tags and altered items so it is a joy to visit my friends that do his techniques all the time. I work from my heart and I am happy to share it. Because of my past Design Teams I have made some very nice friends. 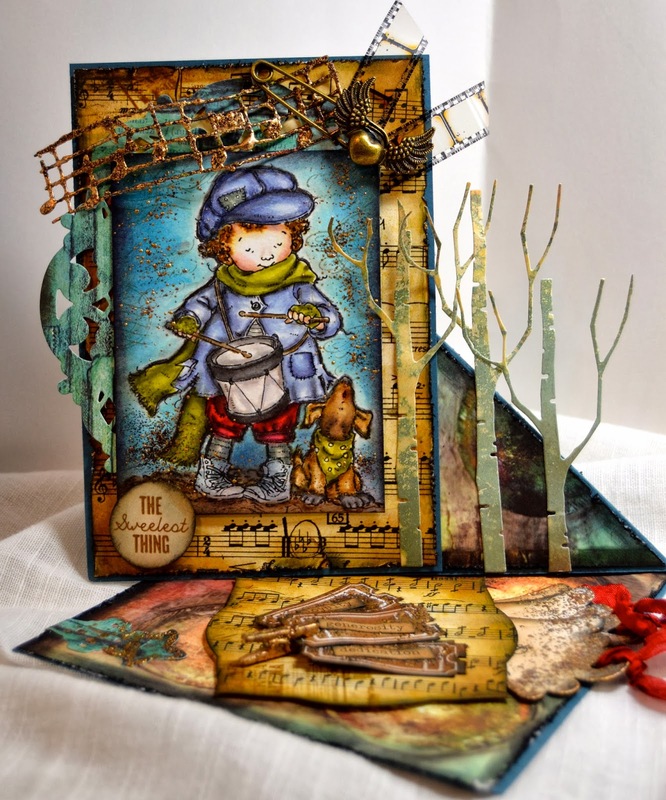 Only1of my friends were able to join in this blog hop with me, Karen Gauthier from Thoughts from the Girls blog. 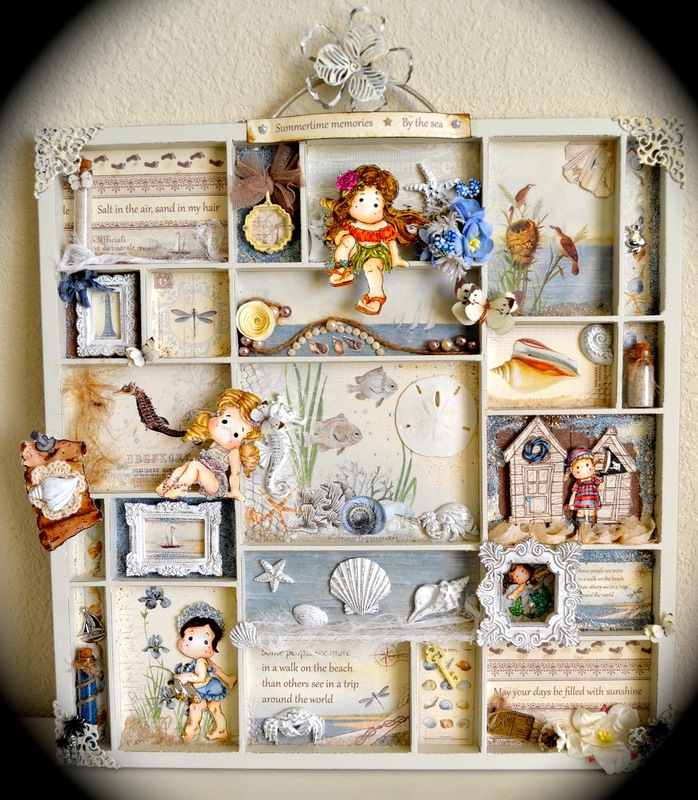 First I want to tell you that due to this blog hop I met another really nice blogger, Penny Mull from 9 Hawks and Dragonfly so you never know when a new friendship will be found so I am happy to participate in this. 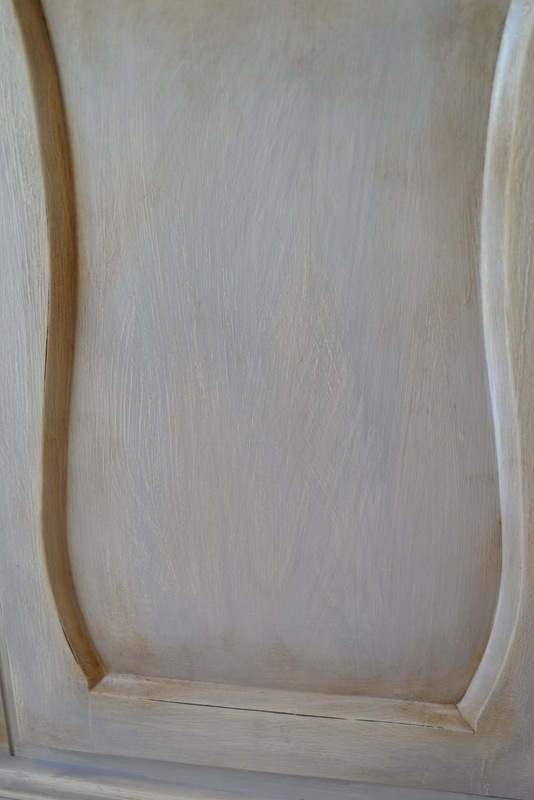 I chose Karen Gauthier as I admire her creativity and she is not afraid to try something different. You may recognize her from 2 Magnolia design teams she is on. Karen is soft and kind and is thinking of others in everything she does. Her cards are beautiful and so girly girl, fluffy and elegant. I own one of her canvases and it is incredible. Karen and I slowly became friends through crafting and now we shop together on the internet and share our ideas over our iPhones, I am surprised our husbands don't shut off our phones! 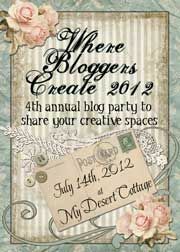 lol I hope you go visit her blog Thoughts from the Girls and she will do her blog hop on Monday August 4th. Thank you for stopping in to learn a bit more about me, I could talk about me for a long time but I don't want to bore you too much! lol So glad you stopped by and hope to visit you all soon. Hi Kelly, it has been wonderful to learn more about you and your creative process. I am so impressed that you even have ideas in your sleep and really wish I could do the same! Each project is so amazing and gorgeous! I'm really admiring your cupboards that you are working on. Your craft room is going to be beautiful. Can't wait for the big reveal!!! Oh and I too get my crafting ideas in my sleep. Figures since we will always be country sistas. It is fun to hear about your creative sleeping!!! I don't create in my sleep, but my creating keeps me from sleep! Ha! Ha! You are SO talented. I always enjoy seeing what you create! Thanks for sharing your story! This is definitely a testament to your versatility, Kelly! All beautiful works of art!!!!!! 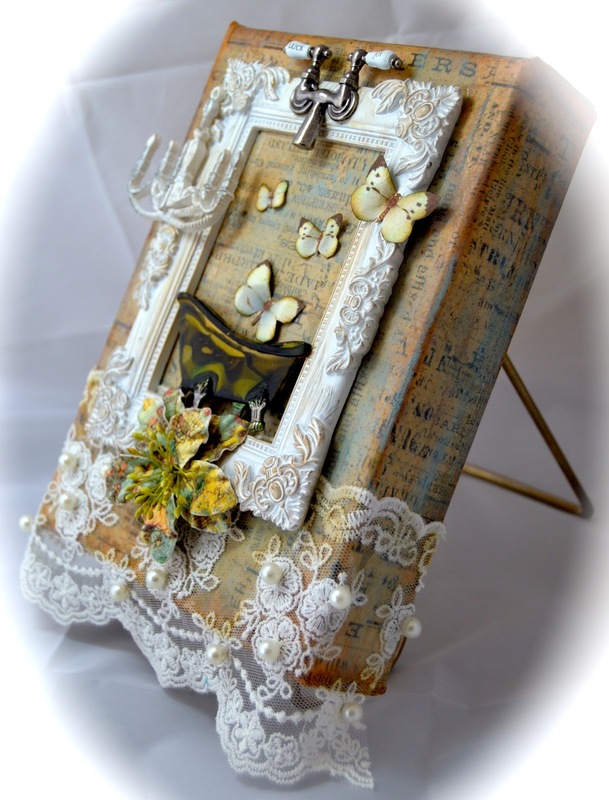 Fabulous Blog Hope post Kelly, your artistic flair has no bounds, I love seeing all your beautiful creations. Just keep doing what you are great at, everything. Your like a breath of fresh air. I'm so glad you don't care what other people think and you shouldn't because you freaking rock in your style. I think it's hilarious that you create in your sleep. What a wonderful and creative mind you have that lets you do your favorite thing while you're pseudo sleeping! Amazing seeing so many creations all together... what a wonderful post. Thank you for sharing.